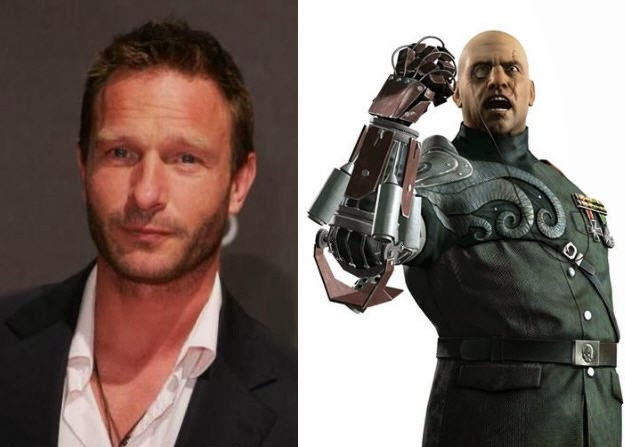 The Hollywood Reporter has learned that "Dracula" star Thomas Kretschmann has been cast as a "major villain" in the upcoming Avengers: Age of Ultron, which they say is none other than Baron Wolfgang von Strucker. The site also notes that Kretschmann's deal to portray Strucker is for multiple films and not solely The Avengers sequel. Strucker was originally rumoured to appear in the movie last month, and it now appears he will join the villain Ultron, played by James Spader, in the highly-anticipated sequel. Other sources state that Quicksilver and Scarlet Witch are working for Strucker at the beginning of the movie and he'll be the stepping stone for the brother and sister mutants switching sides and entering the Avengers team. Strucker first appeared in 1964's "Sgt. Fury and his Howling Commandos." A former Nazi officer, Strucker's body is host to the "Death Spore Virus," which gives him powerful healing abilities and has stopped his ageing. If he dies, however, the virus can go airborne and wipe out all life on Earth. Written and directed by Joss Whedon, the film is set to also star Robert Downey Jr., Elizabeth Olsen, and Aaron Taylor-Johnson (with many more names expected to be confirmed soon).